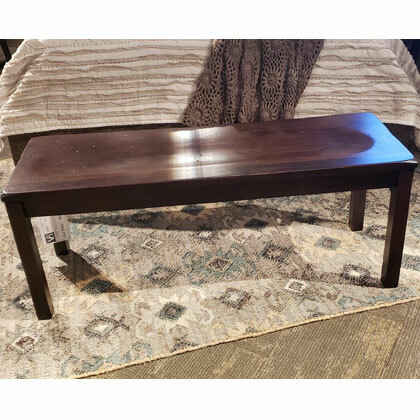 Custom-built by Amish tradesmen and?hand-crafted in the USA, this beautiful dining bench provides additional seating when your table is extended, or can be used as a beautiful piece in your entryway. Crafted from Rustic Cherry with a Rich Tobacco stain and medium distressing to give it that it’s-been-in-the-family-for-ages look. Currently Shown: *Leather: Grey *Finish:?Shagbark This Smith Brothers Ottoman?offers?tapered legs?and a button top.